Evernote has added customizable reminders, one of the company’s most highly requested features, to its popular note-taking app on Mac, iOS and the Web today. Users will now see a small alarm clock with a tick symbol above each note. Clicking or tapping it once will initiate a new reminder, which can even be static – simply notifying users that it still hasn’t been completed – or scheduled for a particular date and time. Evernote offers some common deadlines by default, such as tomorrow or in a week, but there’s also a compact calendar for more precise scheduling. Selecting a specific day will trigger another field above, where users can set a specific time to be notified about the note. 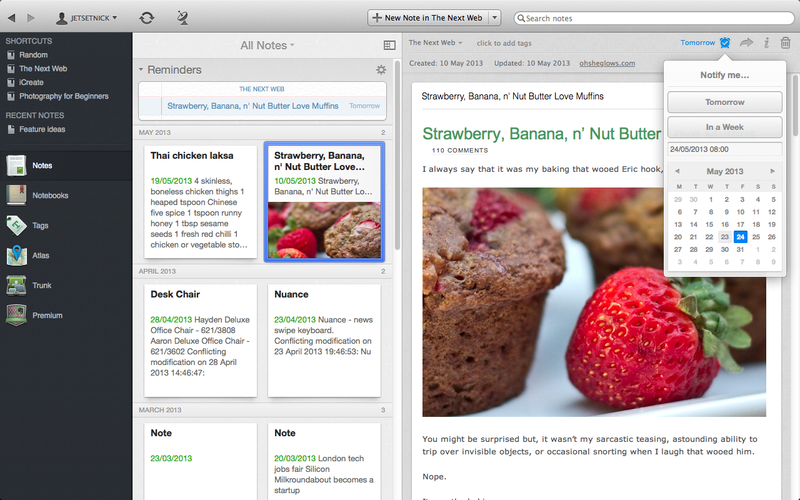 While using Evernote, users can also clear the reminder, or just mark it as completed. Upon setup, users can also ask that they receive reminder emails on the day that the note is due. Ongoing reminders are added to a separate list that sits just above the notes section in the Mac app. It’s clear, unobtrusive and doesn’t take up too much screen space, which is vital for an app like Evernote where there’s already so much information being displayed at once. Users can also click a ‘plus’ icon here to add their own custom reminders alongside a new note. 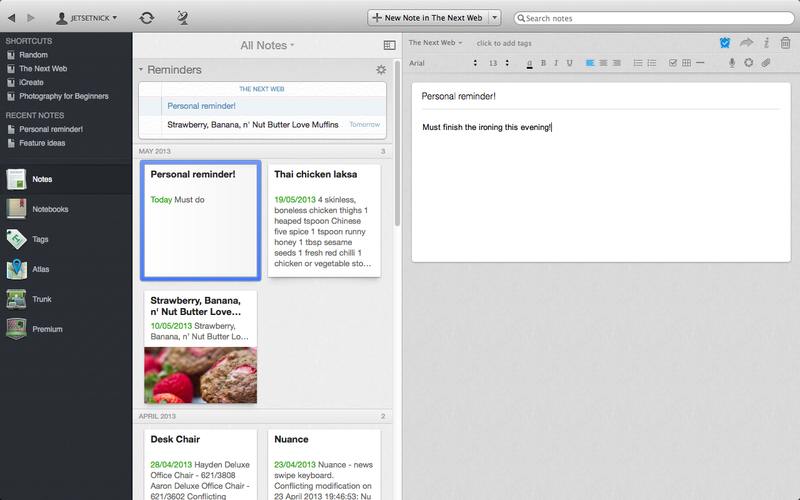 The introduction of reminders shows that Evernote is prepared to expand beyond a simple note-taking service and begin moving into the same space already occupied by calendar and to-do list apps. 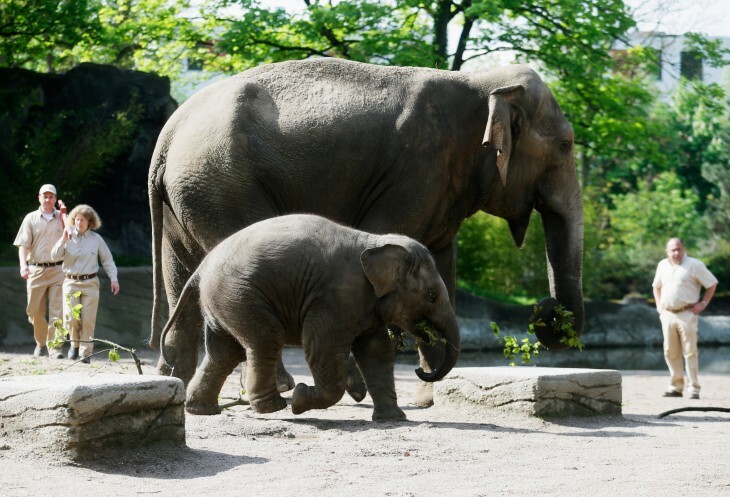 In theory, the feature should streamline users’ workflow; rather than receiving a reminder in a completely different app or service, launching Evernote and then returning to the original notification to dismiss it, everything is now self-contained. It’s not quite as simple or beautiful to look at as a dedicated service such as Clear, but it’s certainly a start. The new feature follows an update to Evernote Food on iOS earlier this month, which added improved Foursquare integration and new recipe partners. The company has also teamed up with Korea-based Kakao to integrate its note taking service in Kakao Talk, a cross-platform messaging app with more than 90 million registered users.